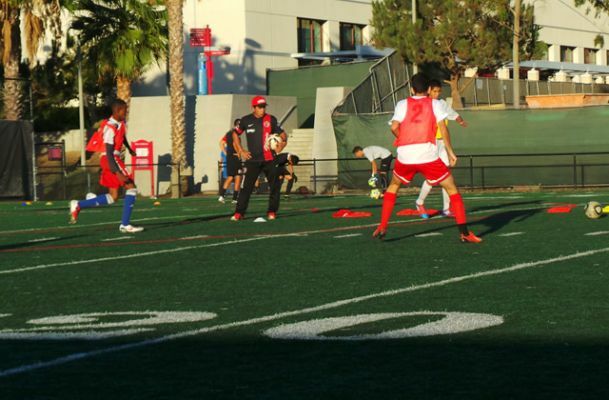 SAN DIEGO –Club Tijuana Xoloitzcuintles de Caliente and the San Diego State University Men’s soccer team held a clinic for high school age players Saturday Oct. 4 at the university’s lacrosse stadium. About 100 players participated in the hour-long clinic run by SDSU coaches and players in conjunction with Club Tijuana coaches before the Aztecs took on No. 2 ranked UCLA at the SDSU Sports Deck. 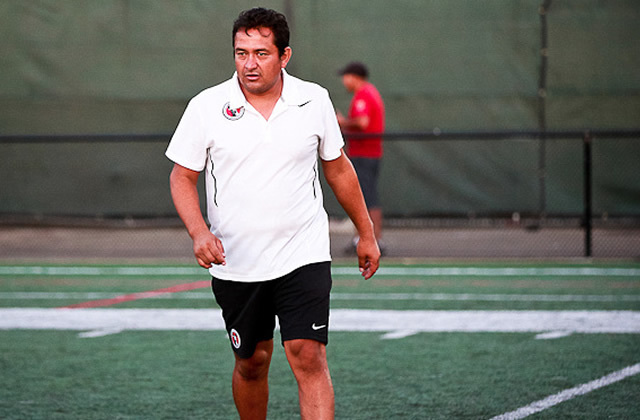 Xoloitzcuintles youth academies director Ignacio Ruvalcaba and Fuerzas Basicas coach Pichus Mendoza took part in the event. Coaches took players through a series of tactical drills, two-on-two scrimmages and a handful of other productive exercises during the clinic. San Diego State coach Lev Kirshner welcomed and thanked the participants during a pre-clinic speech before the players broke into different stations. Players then rotated through the stations, working under different coaches. Each coach picked a standout player from each station and handed that player an official Club Tijuana jersey. The event proves Club Tijuana continues to be committed to the community on both sides of the border. The Xoloitzcuintles hope to continue with this type of events in conjunction with SDSU Men’s soccer.